If you haven’t heard of Tylt, don’t be too surprised, as the name is fairly new. 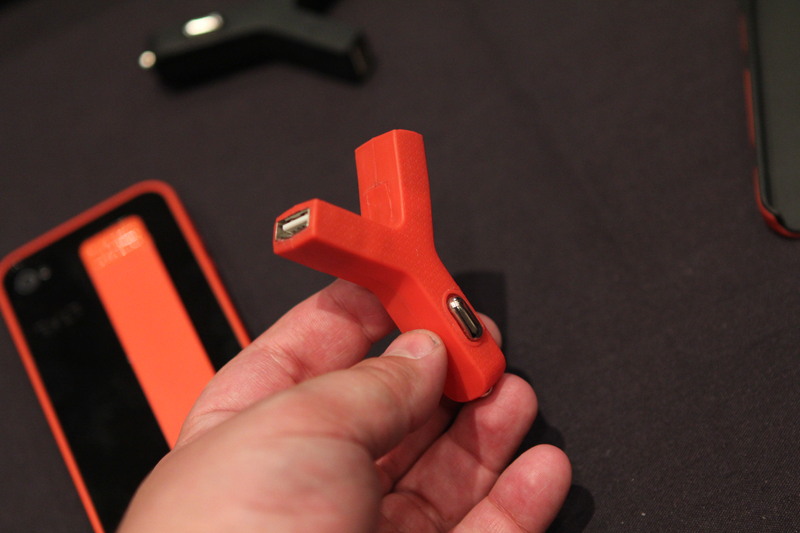 In reality they’re a fresh new line put out by perennial iPhone (and other phone) accessory maker Technocel. Famous for its portable batteries for mobile phones and USB-powered devices, Technocel has partnered up with MNML — the company behind the fantastic TikTok and LunaTik watches, as well as a new stylus project — to turn out rethought versions of their most popular phone batteries under the Tylt name. The batteries are polished-up versions of their 1500 mAh Zumo, 1800 mAh Energi and 5000 mAh PowerPlant batteries for iPhone and Micro-USB. They’re shiny, sleek and pleasant to use. They come with flip-out Micro-USB or 30-pin connectors and all charge, one way or another, via USB. The PowerPlant can charge a couple of devices at a time if need be and the Energi plugs directly into a wall and will charge itself and an iPhone all at once. But Tylt didn’t stop there, as it is also coming out with some completely new items that look fantastic. 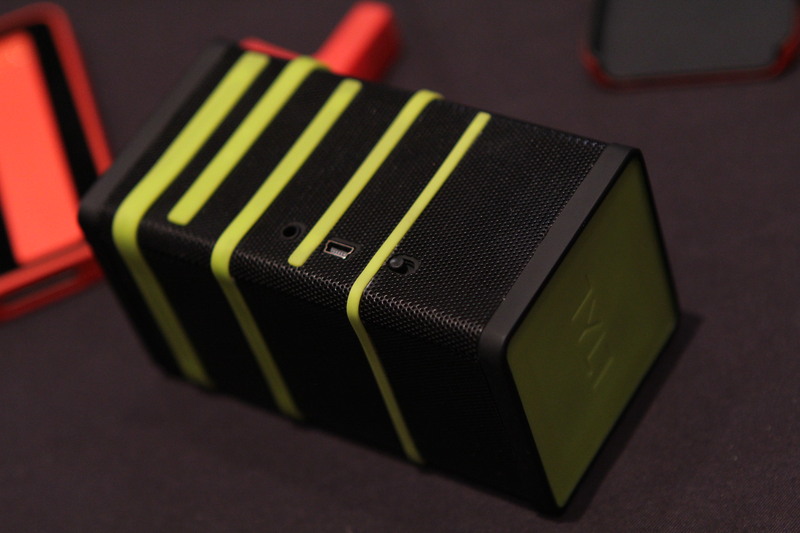 These are collaborations with award-winning design studio New Deal, of Lytro fame. The first is a super cool take on the car charger, called the Ribbon. It’s a flat rubber cable that replaces your typical coiled car charger. The Ribbon is flat, stylish and tangle free. The flat design also aids it in snaking in and out of places like glove boxes easier. 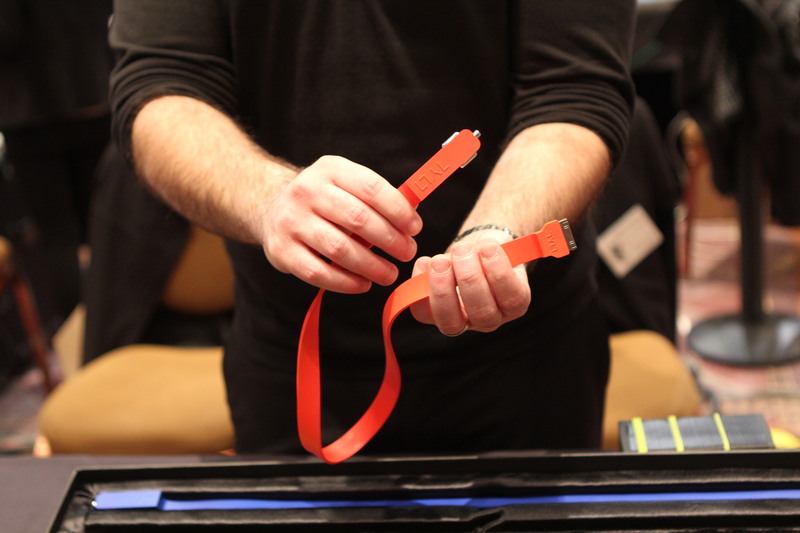 The Ribbons that were on display at the Tylt booth cost the company $2,000 a piece as they were custom made (not for sale) prototypes. The real deal will go into production very soon and retail for a more reasonable amount. 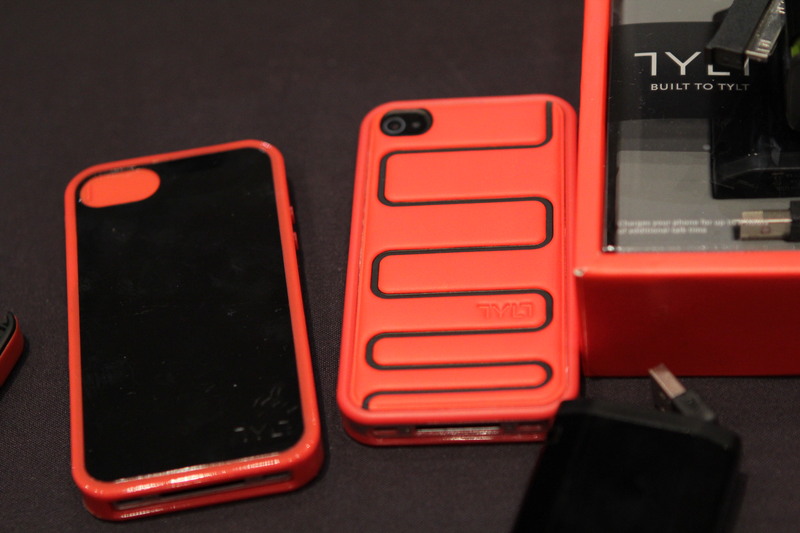 Tylt also had some cool cases to show and a Jawbone Jambox-like Bluetooth speaker. These were substantially stylish themselves, although it was two y-shaped dongles that really caught my eye. These turned out to be prototype dual-USB ports for the car, handmade by New Deal. They allowed cables to split away from a gearshift toward the passenger and driver. They should eventually go into production as well. 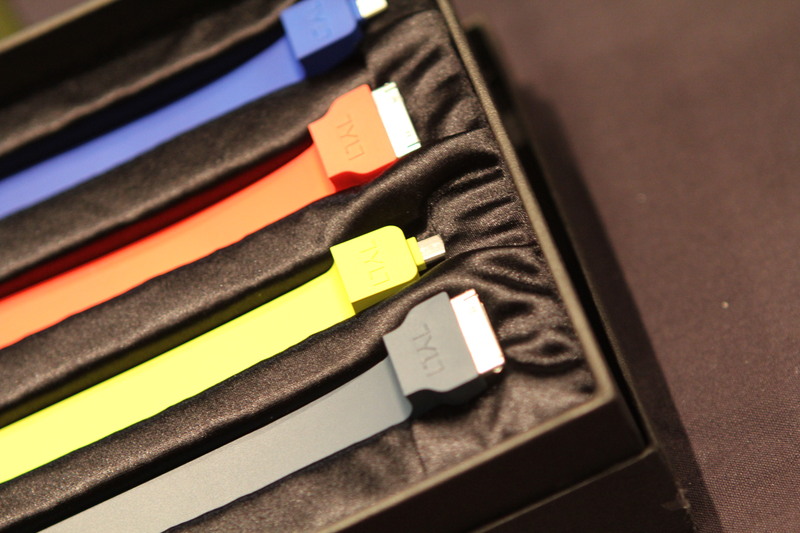 I’m a sucker for stylish and well designed accessories and Tylt should definitely be on your radar if you’re the same.